Our Combination of the World's Finest Remedies and the Most Expert and Reasonably Priced Consultation Services is Unrivaled on the Internet! 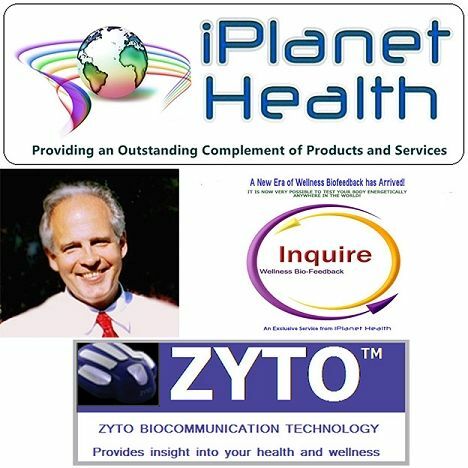 Dr. Hale, AP for many yrs now has been a pioneer in the field of German Biological & Bioenergetic Medicine as well as all things related to complementary alternative medicine since its inception here in the U.S.. Who better to assist you with implementing a wellness program that is designed to meet your unique needs? (Of course even at this level you are entitled to your free 10-15 minute consultation which you can use to get acquainted with me and my services and decide if you feel comfortable with the more comprehensive services I have to offer). At this level of care a medical history is needed as well as a signed informed consent form and if available a copy of your historical or most current labs, provide a list of supplements and meds you are taking, provide a narrative on how you would like me to help. I provide an additional perk called the Maestro Systems Survey. This is a famous and very useful wellness and functional medicine survey that has been used in the natural medicine field for decades. It is now online and is privacy protected. It consists of approximately 200 multiple choice questions that deal with functional stress in different systems in the body. I find this invaluable in my practice. It also supplies you with a very educational report of findings. In addition just recently there has been an extra feature added to Maestro which will provide you with an interpretation of your blood chemistry. If you have had a recent lab done we can provide you with a optimal health evaluation. If you need a lab we can order it for you. All together the Maestro Survey would be $125 or more just by itself. So you can see I am providing a lot of value for patients who desire more comprehensive wellness services. This initial review with some suggestions on my part is $250 (in the past this has been a $350 service but I am trying to be more accessible to more people) and my ongoing help is $200/hr billed in 15 min increments. As a comprehensive wellness patient you would be entitled to a 10% discount on my consultation services if you are purchasing $100 per month or more from my online store. You are also welcome to email me with simple follow up questions during the month as long as it does not pertain to something new or is a complicated question that will require more of my time to reply. If you are needing more comprehensive advice during the month then I schedule phone appointments on Wednesdays and you can call to schedule and prepay in 15 min ($50 increments). If I am not too busy I may be able to talk with you on a day other than Wed if you need more immediate advice). Also just to let you know I am able to provide practically every advanced functional lab available and can provide you with advice as to which lab test may be best for you, as well as I can provide standard labs at exceptional cash prices in most States with the exception of NY and CA. The Advanced Lipid and Cardio panels that I offer are the most economical and comprehensive available exceeding what Quest and Labcorp have to offer. So at this level of care you are enlisting the advantages of all of my virtual office services. One advantage is the portability of care. If you have a phone or computer then you have access to my help along the way.